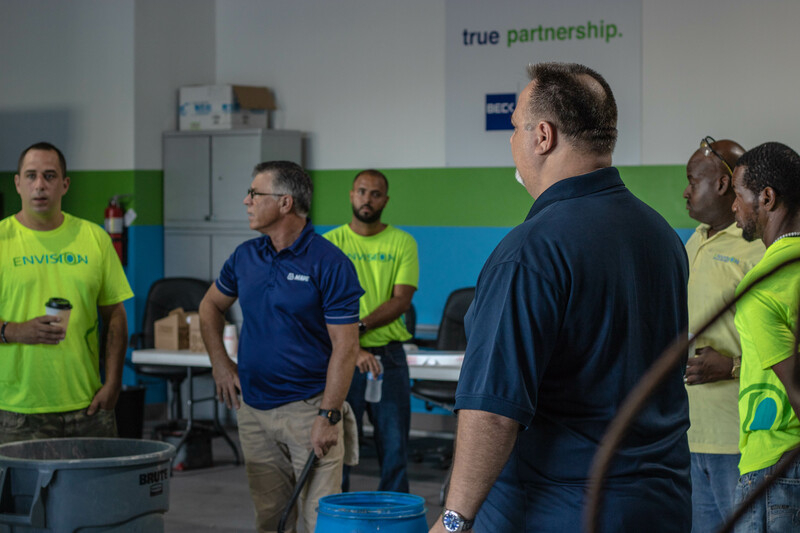 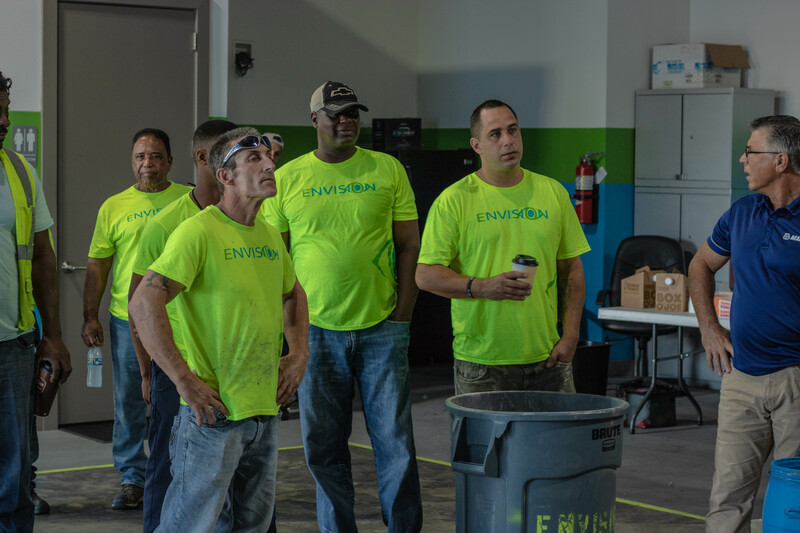 Some of our Envision team members getting the flooring rundown from our flooring personnel as they demonstrate the proper mixture of self-leveling products, equipment operation and the application process for our flooring procedures. 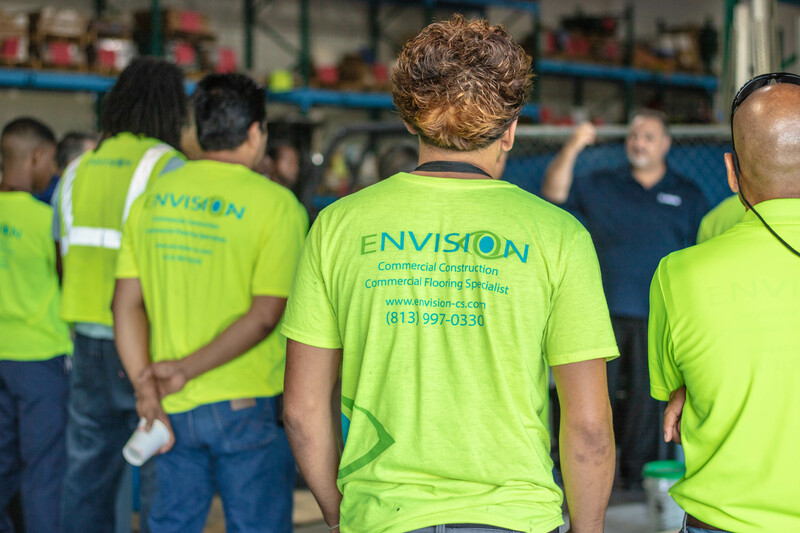 Since Envision takes on a large percentage of our own commercial flooring projects, we are highly committed to providing ongoing in-house trainings to our employees. 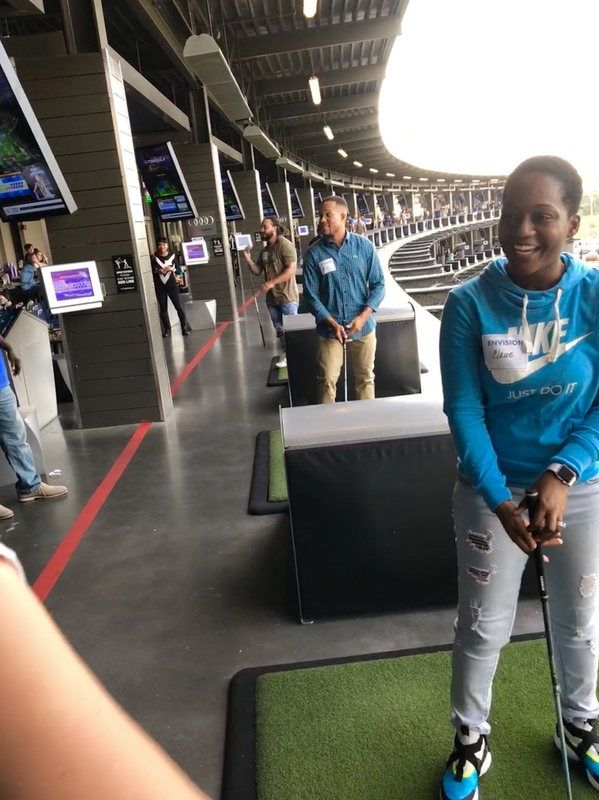 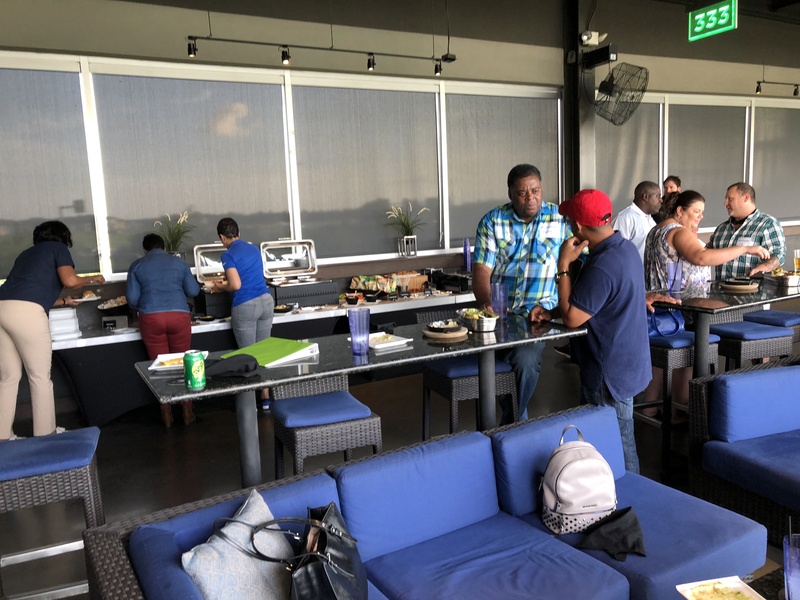 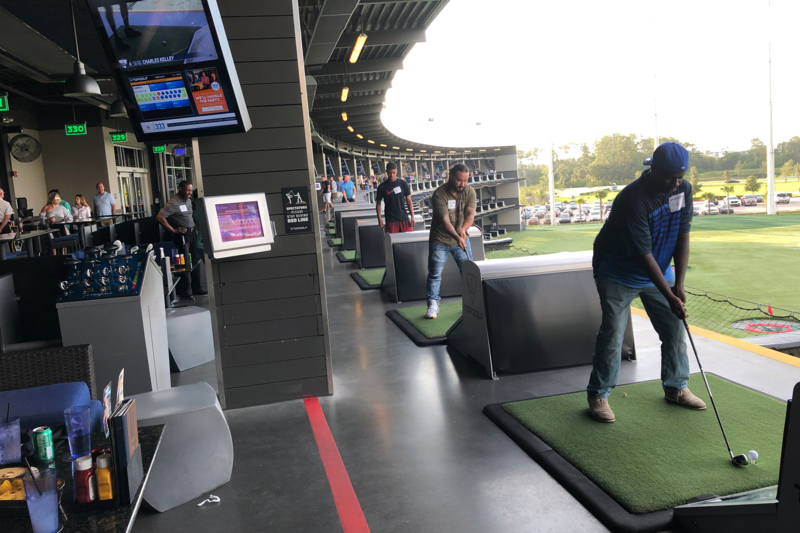 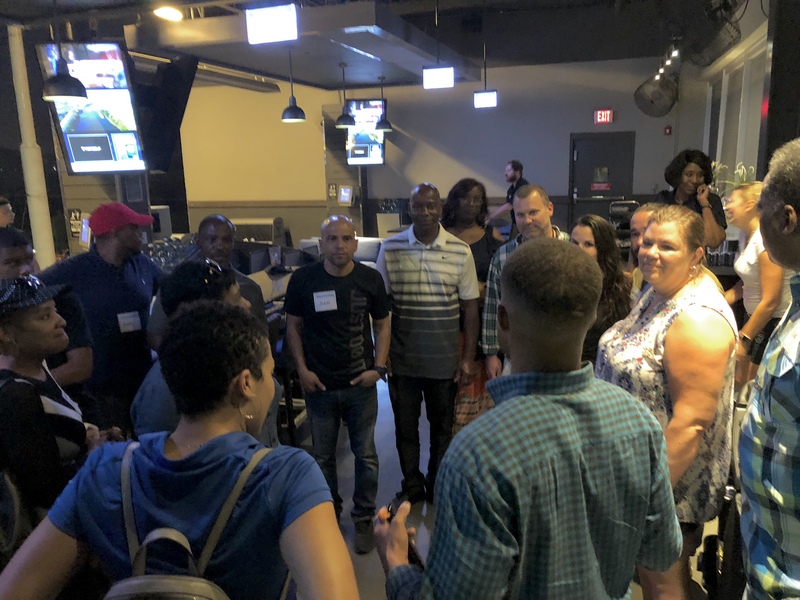 Envision’s leadership, superintendents, and spouses enjoy an awesome evening of fellowship at Top Golf. 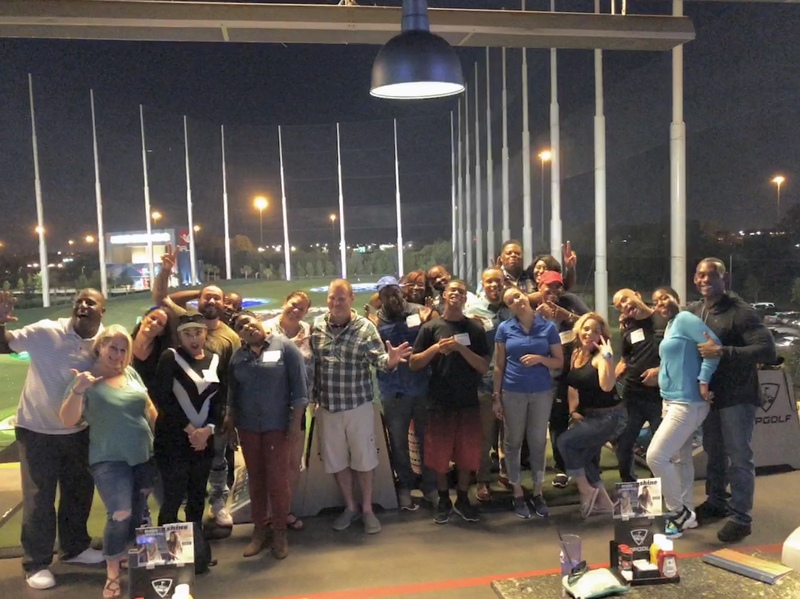 We appreciate our team and know that building stronger communities start with building stronger families.